Adirondack Youth Climate Leadership Retreat – Open to Vermont Students! 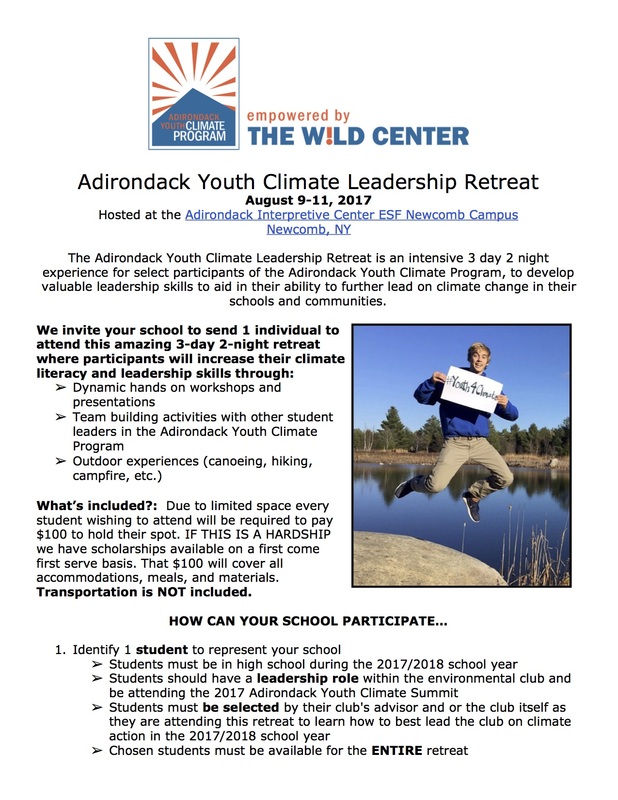 There are several spots available for Vermont students to attend the first ever Adirondack Youth Climate Leadership Retreat August 9-11. All the information you need is in the attached save the date. Please disregard the registration deadline and feel free to send the registration link to any students you think might be interested. It is on a first come, first serve basis and there are only a couple of spots left so get the word out as soon as you can!